Speaking about Latin America just last week, US National security adviser Mr John Bolton (see our related coverage) pointed out that to "the troika of tyranny in this hemisphere will not endure forever." Many onlookers stated that this tightening of pressure on, most notably, the dictatorial Venezuelan regime of Mr Nicolas Maduro by the US government is simply done because next to Colombia’s Mr Ivan Duque they now have a much bigger ally in the region, in the form of Brazil’s President-Elect Mr Jair Bolsonaro. Related coverage: <a href="http://thegoldwater.com/news/41118-Latin-America-Is-There-A-Difference-Between-Troika-Of-Tyranny-And-Axis-Of-Evil"> Latin America - Is There A Difference Between “Troika Of Tyranny” And “Axis Of Evil”?</a>. The former army captain wasted no time indeed slamming his northern neighbor when he urged other Latin American leaders to support him in his stance to kick Venezuela out of Mercosur, the trade agreement regulation commerce between Argentina, Brazil, Paraguay, Uruguay and Venezuela. According to Mr Bolsonaro, the regime of President Nicolas Maduro has by now moved so far away from the trade bloc’s democratic stance that there is no other reasoning left than to kick them out. Other Mercosur members have been expressing concerns about Venezuela's political and economic situation since 2016. 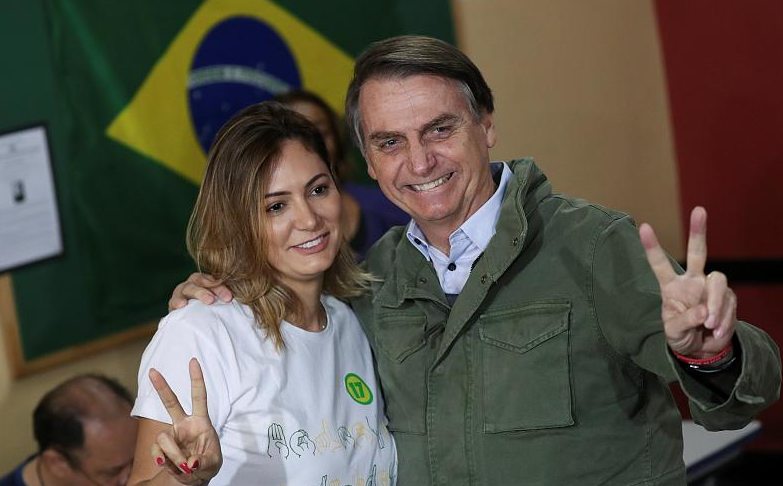 Furthermore, As Mr Bolsonaro prepares for his inauguration on January 1, the president-elect has said he will evaluate all economic data presented to him necessary to carry out a "restructuring" of the country. "The preliminary numbers that we have received are troublesome," Bolsonaro said, in reference to state-run firms. In particular, he pointed to what he saw as mismanagement by the leftist Worker's Party at the state-owned oil company Petrobras. "We do not want to chase anyone, but we do want to privatize some state-owned firms, although not the most strategic ones." The stock markets in Sao Paolo reacted positively to Mr Bolsonaro’s comments and are at record highs for the year. *popcorn for the next in line to throw off the chains of globalism! Bolsonaro has already sided with the Federal Reserve Jews and denouncing Argentina who have rightfully eschewed the corrupt jew-dollar.